I don’t know about you, but my mornings are chaos and frenzy. Getting out the door wearing shoes and clothes is a triumph in itself– asking me to make breakfast is almost too much. HOWEVER! With just four ingredients and a FEW brief moments of active cooking, you can have a delicious and (semi-) NUTRITIOUS breakfast to send you on your way! Or to throw it into a container to eat at work, like me. This is worth the couple of minutes it takes, trust me. 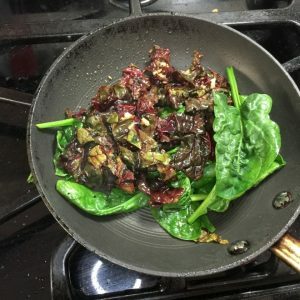 I used spinach and chard because I like that the chard stays a little crunchier. You can do either or both, like I did here. 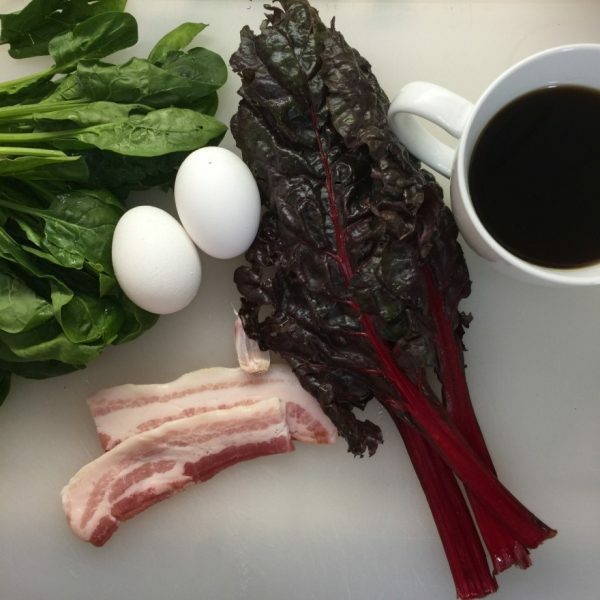 I also used bacon and garlic, but the same goes for these– use both or either! 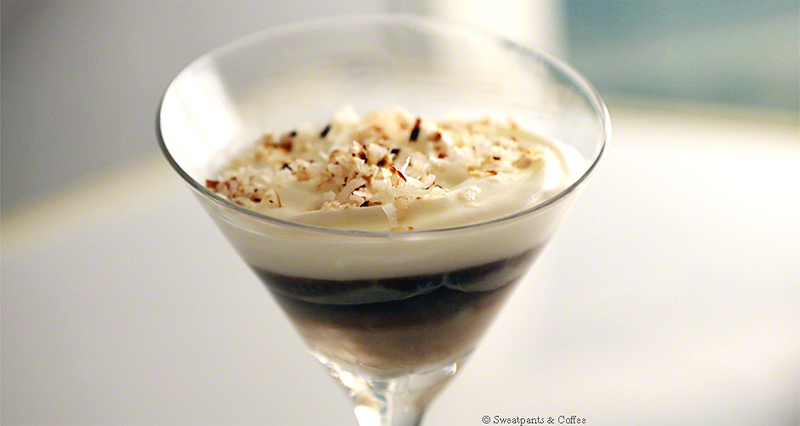 This recipe is scaled for one person, but you can scale it up easily. And I like to call it green eggs and ham because it’s about as close as you can get to Dr. Seuss without making something nasty. Put a pan on high heat. Cut the bacon up and put it in the pan. If you don’t want to use bacon, put a tablespoon of olive oil in the pan instead. Then make some coffee, for heavens’ sake. It is way too early to do anything without coffee, regardless of what time it is. 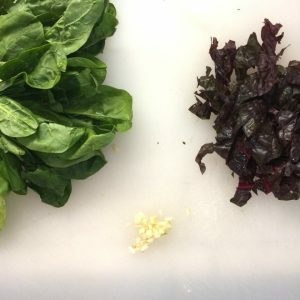 Cut off the stems of your chard/spinach/kale and give the garlic a good chop. 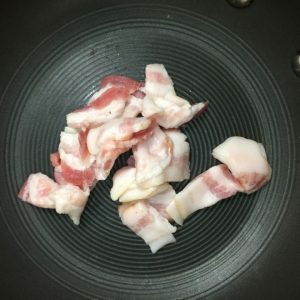 When the bacon crisps up, strain it off onto a paper towel. Turn the heat in the pan to low. If you didn’t use bacon, turn the heat down when your oil starts to shimmer. 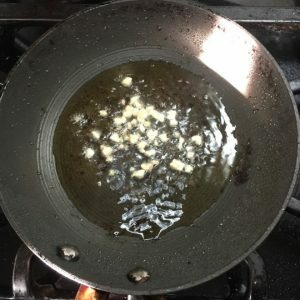 You can drain some of the bacon fat off, or you can forget to do it and throw the garlic into the pan, like I did. I guess my breakfast will be extra fatty today! The greens go in immediately after the garlic. Give the pan a quick toss. The leaves should wilt up almost immediately. 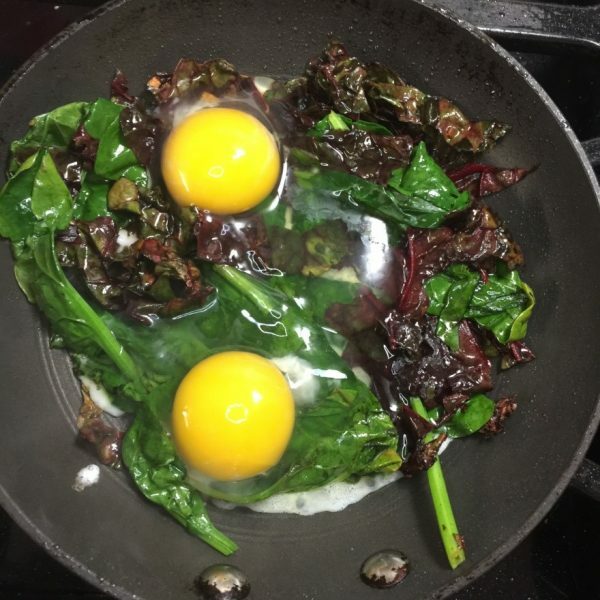 Make a couple kind of divots in the spinach and crack your eggs in. Add about a teaspoon of water, cover the pan, and set a timer for 3 minutes. When you come back to check your pan, the egg whites should be set but the yellows should have a little give to them. I forgot to set a timer, then decided to give my cat his morning medicine. After searching the house, finding him, wrestling the medicine into him, and changing my clothes because he got it all over me, the 2 minutes had turned into about 5 and my eggs were overcooked. DO NOT LET THIS HAPPEN TO YOU. If it DOES happen to you, I suggest you pull the eggs out of the pan, feed them to the cat, and crack a fresh one in so you can actually enjoy your breakfast. 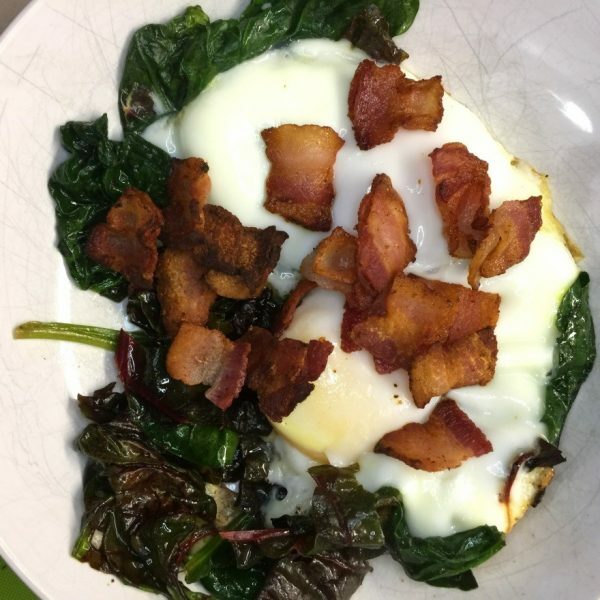 Once the eggs are done, slide the whole pan off onto your plate (or a container if you’re running late) and throw the bacon on top. You can top it with hot sauce or parmesan cheese if you have time, but it’s just as good without. I like to mix mine up to get the egg yolk all over.